'Paisley' ~ are beautifully handcrafted ceramic lentil beads made in Bulgaria. I simply LOVE these beads!! Well and carefully made! Even more beautiful than I expected!! I WILL shop here again! Such talent! I'm so pleased! Etsy asset!! This bead is beautiful! Love the colors! Again thanks for stocking them! 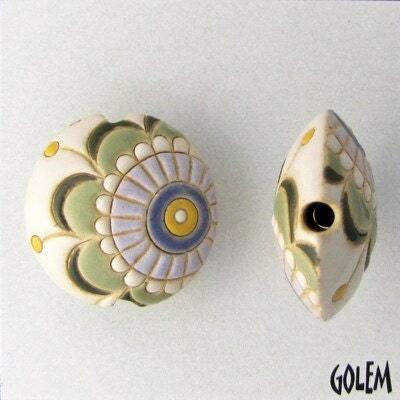 Excellent price for Golem beads.